Cascade Properties- Is located off of hwy 89 when you’re headed to Tahoe City seems to be about a mile or two past Camp Richardson and before Emerald Bay. A few homes can be found along Cascade Lake on down to the shores of Lake Tahoe. As a result this is a very exclusive neighborhood. Probably one of the better places on Lake Tahoe to waterski or wakeboard is located in front called Ski Beach. Most of all is this neighborhood is located in the county. 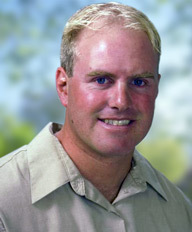 Before he launched his real estate career in 2004, Wisi Betschart spent most of his time with the highly-touted United States Ski Team. In fact, he was the youngest individual to be included in the U.S. Ski Team at 16 years of age. For over 10 years, he went through intensive ski training and racing. He has traveled around the world in an effort to hone his skills and expertise.